People in Northamptonshire are being urged to use NHS services wisely as the county’s hospitals continue to deal with a large number of patients seeking emergency care. Northampton General Hospital (NGH) and Kettering General Hospital (KGH) have both been extremely busy this week and pressure has built up on wards and A&E departments, bosses at Nene CCG say. Nursing teams have seen an increase in flu cases and winter-related illnesses, particularly among older people with multiple conditions who need more intensive care. 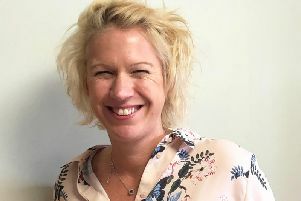 Dr Emma Donnelly, a local GP and clinical director at Nene Clinical Commissioning Group (CCG) said: “Our local hospitals are seeing a lot of people who are very unwell and need urgent care, and they are doing their best to look after these people as quickly as possible. “Many of the most unwell are aged 75 or older and some have waited longer than they should to seek medical advice. As a result, they have required emergency admission whereas if they had seen their GP sooner, a hospital admission might have been avoided. “So the message is: if you are unwell and in a more vulnerable age group or are worried about an elderly relative, seek help sooner rather than later. In many cases, patients have developed more serious conditions requiring urgent care that could have been dealt with by their GP if they had sought advice earlier when they started to become more unwell. GP practice – You can contact your GP surgery directly in hours and contact the GP out of hours service via NHS 111 when your GP surgery is closed. NHS 111 service – If you need medical help fast, but your condition is not life threatening, call NHS 111. Available 24 hours a day, seven days a week, the freephone number is staffed by trained advisors and experienced clinicians who can assess you, offer advice and direct you to the right place to get the medical care you need as quickly as possible. Corby Urgent Care Centre – For a minor injury or illness that needs urgent attention, this service is an alternative to attending A&E. The centre is located at the Willowbrook Health Complex, Cottingham Road, Corby, and is open 8am to 8pm every day of the year. It has free car parking and appointments are not necessary. The centre has a range of diagnostic facilities including an x-ray department. Pharmacy – Many common illnesses such as coughs or colds can be best and most easily treated by visiting your local pharmacy where you can seek advice without an appointment. Your pharmacist can advise on how to look after yourself at home with rest and over-the-counter treatments. For details of a pharmacy near you, visit the NHS Choices website here. Self-care - A well-stocked medical cabinet can help you deal with minor ailments and injuries at home. KGH or NGH are also urging local people who have relatives due to be discharged from hospital to do everything they can to support this, as it will help them maintain flow and free up beds for serious medical emergencies.